Known as the “Roof of the World,” the Tibetan Plateau captivates us not only with her stunning natural beauty and pristine culture, but also with abundant mineral resources. Virtually every inch of land on the Tibetan Plateau has witnessed the hard work of Chinese miners. Among the professional mining development companies active on the Tibetan Plateau is Tibet Huatailong Mining Development Co., Ltd. (“Huatailong” for short). Huatailong is a directly-owned subsidiary of China National Gold Group Corp. It was founded in Tibet Autonomous Region on December 9, 2007, and in the very same year obtained development and construction rights for the Jiama (Gyama) Copper-Polymetallic Deposit Mining and Dressing Technological Transformation Project. 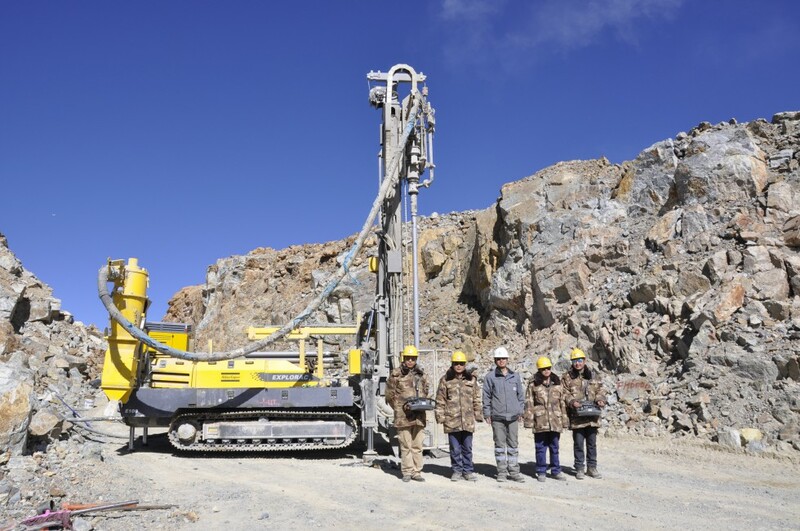 The Gyama Mining Area is located 68 kilometers away from Downtown Lhasa within the territory of Gyama Village in Maizhokunggar County, Lhasa, at altitudes ranging from 4,000 to 5,407 meters. With a mining rights area of 144 square kilometers, it is one of the largest copper/gold mines in China. To enhance ore grade control and achieve more efficient exploitation of mineral resources, Huatailong purchased an Atlas Copco Explorac 100 reverse circulation drill in September 2015, officially opening the curtain on the first application in China of this world-leading reverse circulation drilling rig.